So, the wait is finally over as we’ve now got the final 40 (+ 4 reserves) runners that have made it into the 2019 Randox Health Grand National. 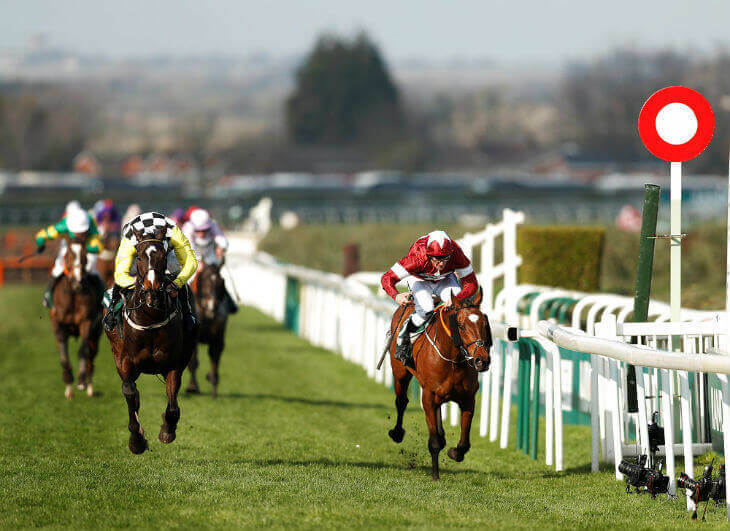 Last year’s hero – TIGER ROLL – is a confirmed runner as he bids to become the first back-to-back winner of the Grand National since Red Rum in 1974. He’s rated 9lbs higher this time and will have 6lbs more in actual weight on his back and with punters having already supported him in the Grand National betting market, he looks set to go off as one of the shortest-priced Grand National favourites in recent times. He’s around the 4/1 mark. The JP McManus-owned ANIBALE FLY, who we last saw running second in the Cheltenham Gold Cup, heads the weights with 11-10 – this 9-year-old will be looking to become the first horse to win with such a burden since………yes, you guessed it – Red Rum, who won with 12st in 1974. Barry Geraghty, who won the National in on Monty’s Pass in 2003, takes the ride. Last year’s Scottish National winner – Joe Farrell – also squeezed into the race but the skin of his teeth as number 40 after the Willie Mullins-trained Pairofbrowneyes wasn’t declared. Last year’s runner-up – Pleasant Company – is also in attendance again this year. The 11-year-old went down by just a head 12 months ago, but does have 4lbs more in weight this time. Champion jockey – Richard Johnson – who is yet to win the Grand National, will be hoping to break his duck on the Philip Hobbs-trained Rock The Kasbah. The Gigginstown House Stud marron colours, who have won two of the last three runnings are again well-represented too with nine of the 40 runners, including last year’s winner Tiger Roll. Top Irish trainer – Gordon Elliott, who has two Aintree Grand National wins to his name is also mob-handed again this year – he’s responsible for a massive 12 of the 40 runners – that’s 30%! We’ve also another past champion lining-up as the 2017 hero – One For Arthur – will again be flying the flag for Scotland. This Lucinda Russell-trained runner will also be looking to following in the hoof-prints of a certain Red Rum by regaining his title. Trainer Nicky Henderson, who is another big yard that is yet to win the Aintree Grand National, will pin his hopes on Valtor, who is set to carry 11st 6lbs and will be ridden by the 2012 winning jockey – Daryl Jacob. Mr Grand National – Trevor Hemmings – who has won the race a staggering three times in the past also looks to have a strong hand again with three runners. The Paul Nicholls-trained Warriors Tale, plus Lake View Lad and Vintage Clouds will be running in his famous green, white and yellow silks. The betting remains relatively unchanged with Tiger Roll still around 4/1 and is set to become one of the shortest-priced National favourites in recent times. The last horse to win around this sort of price was back in 1919! Anibale Fly is next best around 10/1, with Vintage Clouds (12/1*) and Lake View Lad (14/1*) just behind. The 2017 winner – One For Arthur – is on offer around 20/1*, while last year’s runner-up Pleasant Company (22/1*) is also in the top-half of the 2019 Grand National betting market. Note, odds are subject to change. The weather is set to be okay and with the ground currently described at ‘good-to-soft’, which looks perfect jumping conditions to take into the race. We wish all the horses and jockeys a safe trip round and good luck whoever you’re backing! As always, there are also four reserves in case any of the top 40 are pulled out between now and 1pm on Friday – the quartet this year are Exitas, Isleofhopeendreams, The Young Master and Just A Par.